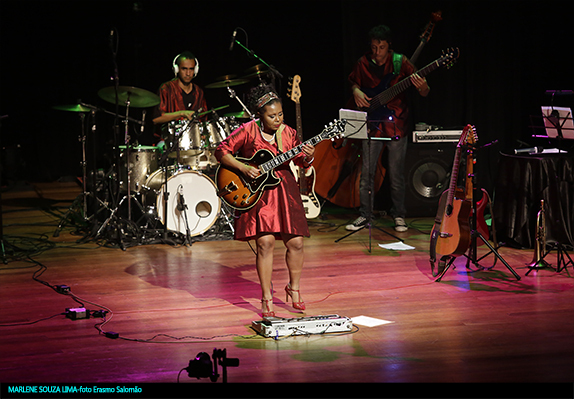 Known as "the female jazz guitar," Marlene Souza Lima has years of experience and an enviable training. As a child she moved to Brasilia where she grew up listening to the saxophonist father and guitarist sister who was her first teacher In the 80s she began his studies at the Music School of Brasilia. - National reference in music education - and had the renowned musicians masters as Paul André Tavares, Nelson Faria, Curinga, Paul Bellanti, among others. In the 90's Marlene moved to the United States where she perfected her studies and started performing in jazz clubs, especially in San Francisco, California. After returning to Brazil, she taught and created her own teaching method, the plant Sounds Music Course. 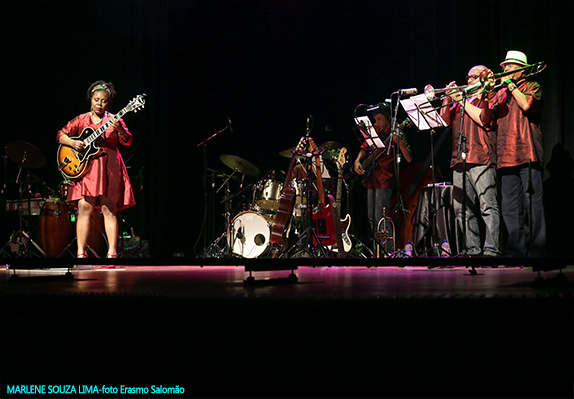 After numerous performances as a musician solo or accompanying other artists - including several studio recordings - Marlene Souza Lima began to perform as a trio. 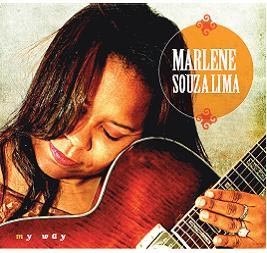 The first album of Marlene Souza Lima Trio came out in 2011 and was titled "My Way". The instrumental album features a strong base in the jazz of established names like John Scofield, Pat Metheny, James Moody, Charlie Parker, George Benson, Miles Davis, Wes Montgomery, but still full of references in Brazilian rhythms such as crying, frevo, ballad, samba and bossa nova.